A personal and spiritual journey leading to a new, sustainable and socially responsible high jewellery capsule collection. To celebrate her 7th anniversary as Haute Joaillerie designer, Alexandra Mor signs her Tagua Seeds Collection. 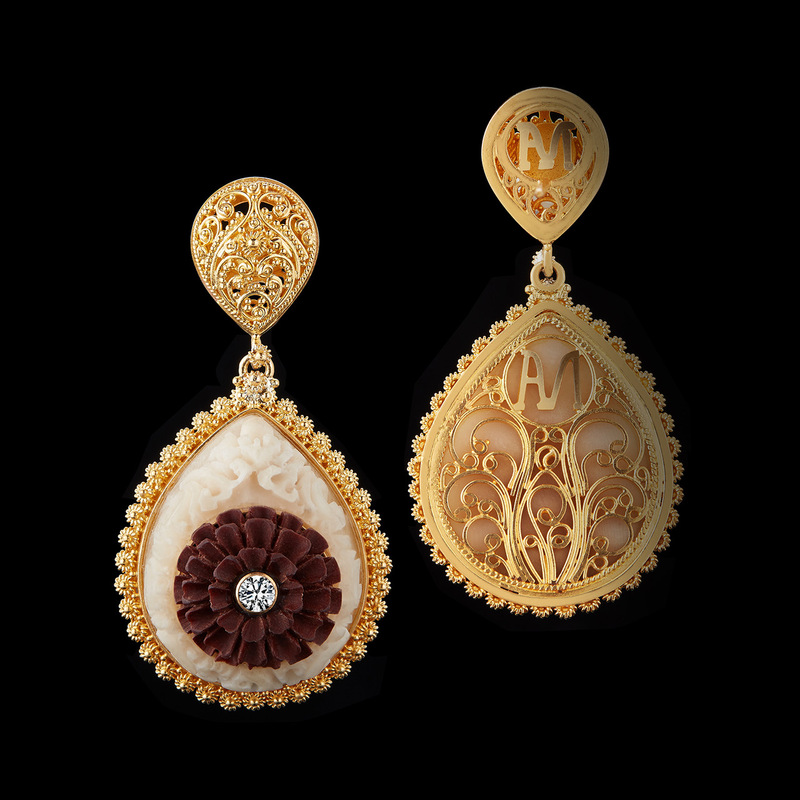 The Tagua Seeds Collection represents a very important milestone for Alexandra Mor. This is the first collection featuring tagua seeds, intended to represent a luxury material and a sustainable, socially responsible and effective alternative to elephant ivory, that is still being used in the jewellery industry. The Tagua Seeds Collection is the result of a spiritual journey that Mor lived while in Bali. An emotionally involving experience that enriched her approach to high jewellery by bringing an in-depth human touch and the desire of raising awareness on the use of ivory in jewellery and find a sustainable way to replace it. This is where the Tagua seeds come in, being these a botanical alternative nearly identical to elephant ivory – it is enough to think that, in just one year, a single Tagua Palm can produce as much ivory as an average African elephant can in its lifetime, thus offering a viable solution to stop the killing of these animals on the brink of extinction. The Balinese experience has also offered Mor the unique opportunity of working with local craftsmen, who helped her to shape her collection. The Tagua Seeds Collection stems out of the profound respect of Bali, where the designer is currently living, and it highlights the Balinese originality and almost forgotten stories of heritage, craft and spirit. Alexandra Mor has collaborated with the best carvers available in Bali (considered among the best in the world) and with a great team of goldsmiths who work the 22 karat gold, as according to ancient traditions. All this while combining new and unexpected materials, thus adding a distinctive approach to her signature aesthetic designs. Included in the Tagua Seeds Collection are earrings, rings, necklaces, bracelets, cuffs and a clutch inspired by traditional Balinese design motifs like the Tree of Life, or Kayonan, Mala, and the Kalabubu, the Nias headhunters warrior necklace: made of coconut and brass, is another significant motif, and it is used as a prestigious decoration of strength, power and success in the cultures of the Nias Island, Indonesia. Hand-carved Tagua seeds, black and red Balinese wood, Sumatran pearls and 22 karat yellow gold work express their luxury along with Mor’s well known signature details such as rare and beautiful gemstones and the Diamond melee – all this infuses life to limited-edition and one-of-a-kind creations for the House of Alexandra Mor. Alexandra Mor collaborated with acclaimed Photographer Ken Kochey in making her Balinese journey and Tagua Seeds Collection into an emotional visual story. An award-winning photographer, Ken Kochey has constantly travelled the world, and has captured experiences for a wide range of editorial and advertising clients, such as Conde’ Nast Traveler, Travel and Leisure, Aston Martin and Coca Cola. Today, he lives with his family in Bali, from where he continues to specialise in travel and lifestyle photography, characterised by a genuine warmth and humanity.